American Issues At Stake In Elections ~ " Century Fox Post "
The stakes now are similar to what caused the U.S. to invade almost 11 years ago: the threat of more al-Qaida attacks. President Barack Obama says U.S. forces must not leave until Afghan forces can defend the country on their own. Otherwise the Taliban would regain power and al-Qaida might again launch attacks from there. Republican rival Romney appears to share that view. Century Fox Reports: Taliban: "U.S faces utter defeat in Afghanistan"
What's often overlooked in the "al-Qaida returns" scenario is an answer to this question: Why, after so many years of foreign help, are the Afghans still not capable of self-defense? And when will they be? The official answer is by the end of 2014, when the U.S. and its allies plan to end their combat role. The Afghans will be fully in charge, or so it is hoped, and the war will be over, at least for Americans. This election probably will cost more than $1 billion. Big donors who help cover the tab could gain outsized influence with the election's winner. Your voice may not be heard as loudly as a result. 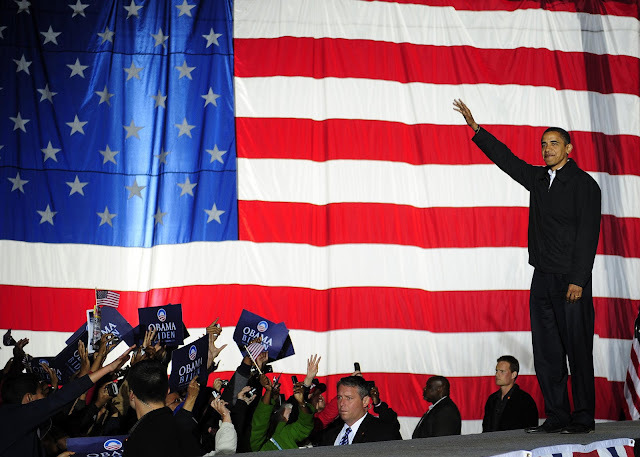 Obama criticized the Supreme Court for removing campaign finance restrictions. Republican presidential nominee Mitt Romney supported the ruling. Both are using the lax rules with gusto. Report: Should U.S look to China For Economic Advice? In the U.S. July was the hottest month ever recorded and this year is on track to be the warmest. Scientists say that's both from natural drought and man-made global warming. Each decade since the 1970s has been nearly one-third of a degree warmer than the previous one. The budget deficit—the shortfall created when the government spends more in a given year than it collects—is on track to top $1 trillion for the fourth straight year. The government borrows about 40 cents for every dollar it spends. The job market is brutal and the economy weak. Nearly 13 million Americans can't find work; the unemployment rate has been higher than 8 percent for more than 40 months. A divided Washington has done little to ease the misery. The economy didn't take off when the recession ended in June 2009. Growth has never been slower in the three years after a downturn. The human toll is staggering. Forty percent of the jobless, 5 million people, have been out of work six months or more—a "national crisis," according to Federal Reserve Chairman Ben Bernanke. Wages aren't keeping up with inflation. Half a dozen states and the District of Columbia have made history by legalizing it, but it's prohibited elsewhere, and 30 states have placed bans in their constitutions. Gun violence has been splayed across front pages with alarming frequency lately: the movie theater killings in Colorado, the Sikh temple shootings in Wisconsin, the gunfire outside the Empire State Building and more. Guns are used in two-thirds of homicides, according to the FBI. But the murder rate is less than half what it was two decades ago. It's getting harder to argue that stricter gun laws are needed when violent crime has been decreasing without them. Romney would repeal Obama's health care law but hasn't spelled out what he'd do instead. On Medicare, he favours the option of a government payment to help future retirees get private coverage. Romney accuses Obama of being weak on Iran. He says the U.S. needs to present a greater military threat. Attacking Iran is no light matter, however. That is why neither candidate clearly calls for military action. Syria's conflict is the most violent to emerge from last year's Arab Spring. Activists say at least 23,000 people have died over the last 18 months. Romney says "more assertive" U.S. tactics are needed, without fully spelling them out. The future of Arab democracy could hinge on the crisis. After dictatorships fell in Tunisia, Egypt, Libya and Yemen, critics say Assad's government has resorted to torture and mass killings to stay in power. Its success would deny the U.S. a major strategic victory. Assad long has helped Iran aid Hamas and Hezbollah, destabilizing Lebanon while threatening Israel's security and U.S. interests in the Middle East.